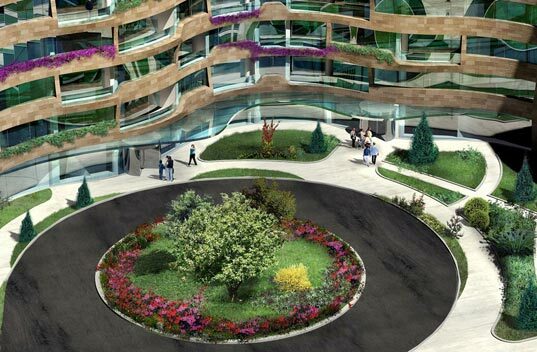 Inhabitat reader e_meliss tells us that Global Architectural Development (GAD) is on its way to constructing a mixed-use complex that will be a reflection of technology, sustainability and aesthetics in Istanbul. Dubbed the “One & Ortakoy,” this project is under construction in the neighborhood of Ortakoy. The developers have planned two buildings – one which will be designated for residential purposes while the second will be reserved for commercial use. Positioned right next to an enchanting hillside location, the project will be a major step toward improvement of the area. A sequence of experimental strategies inspired by contextual elements have been used for the development of this project’s structure and organization. The architects aim to build recreational playgrounds on the roofs of both the buildings. 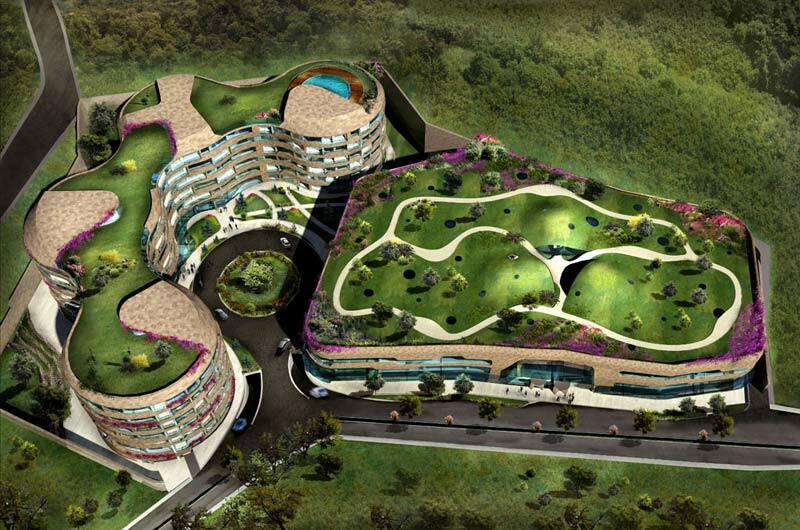 These beautiful green roofs will not only blend the structures with the existing topography, but will also provide benefits for the environment. Both buildings will feature a natural stone façade, and this soft skin will tie in nicely with the natural hillside setting. Inhabitat reader e_meliss tells us that Global Architectural Development (GAD) is on its way to constructing a mixed-use complex that will be a reflection of technology, sustainability and aesthetics in Istanbul. Dubbed the “One & Ortakoy,” this project is under construction in the neighborhood of Ortakoy. The developers have planned two buildings - one which will be designated for residential purposes while the second will be reserved for commercial use. Positioned right next to an enchanting hillside location, the project will be a major step toward improvement of the area.